Warning: These photos are published for reference only to provide information on the nature of the intervention. They do not constitute a guarantee of results. Individual results may vary. Mediluxe offers a comfortable, chic environment for clients to relax and indulge in the latest skin care treatments. Our specialists work with the latest skin care technologies, from PDL (the gold standard for Rosacea treatment) to microneedling to virtual mesotherapy and more. We strive to provide effective, long-lasting results with minimal side-effects and without the use of invasive surgery or medication. 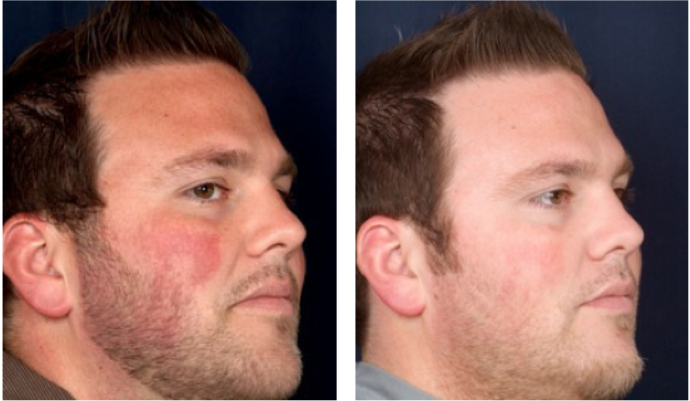 Get $100 Off Your next rosacea treatment! Book your free rosacea consultation now with our specialists. Please complete this form and we will contact you promptly.